The Polyco Polychem Heavyweight Red PVC Chemical Resistant Gauntlet is a red PVC chemical resistant gauntlet with cotton interlock knitted liner. 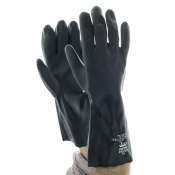 This chemical resistant glove performs well to protect against a variety of chemicals including concentrated acids, alkalis, oils and greases. 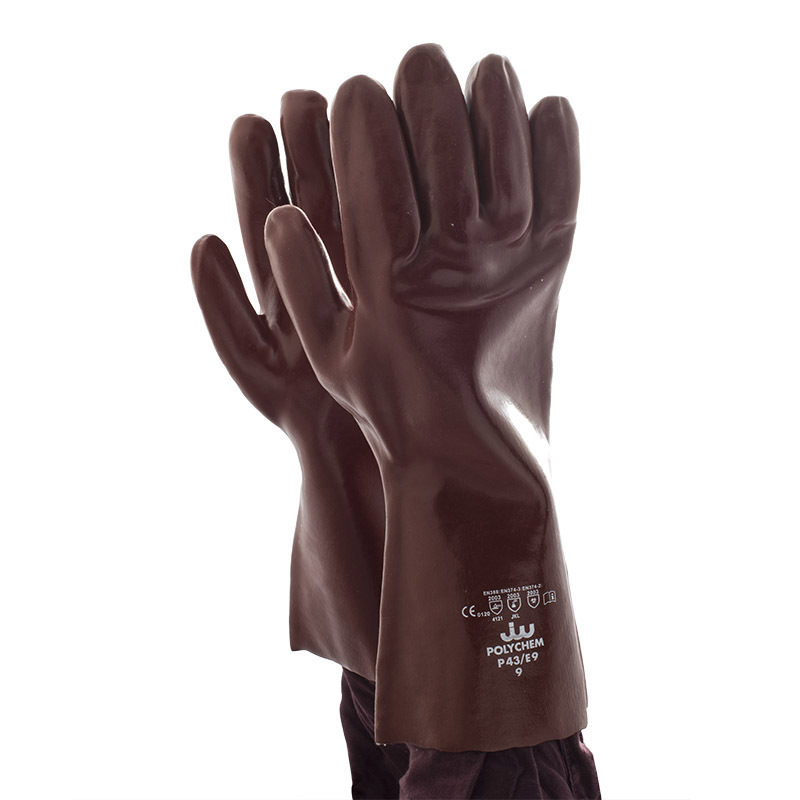 It attains the maximum EN 388 score for abrasion resistance and offers good tear resistance, helping to enhance the safety glove's mechanical protection and durability. The Polyco Polychem Heavyweight Red PVC Chemical Resistant Gauntlet has been pressure tested for ultimate reassurance of gauntlet integrity. The cotton interlock liner provides exceptional comfort keeping the hands cool and comfortable, and its anatomical shape and flexibility minimise hand fatigue. 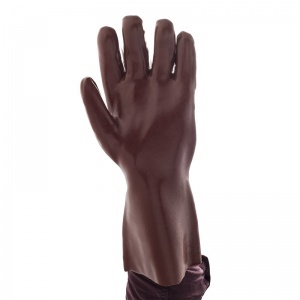 The Polyco Polychem Heavyweight Red PVC Chemical Resistant Gauntlet is available is four different lengths protecting the top of the arm. 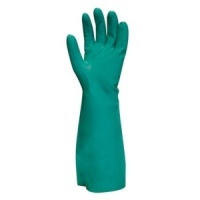 Provides chemical resistance against a variety of chemicals including concentrated acids,alkalis, oils and greases. 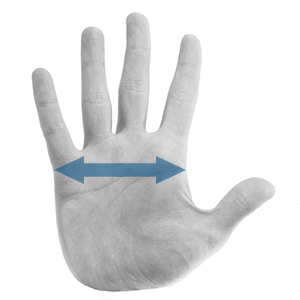 For ultimate reassurance of gauntlet integrity.